Few things are more rewarding than gathering around the table with family for a good meal and conversation in one of the world’s most spectacular tropical locations. Add a variety of activities to suit all tastes—minimal pre-planning to boot—and you’ve got a dream holiday made. 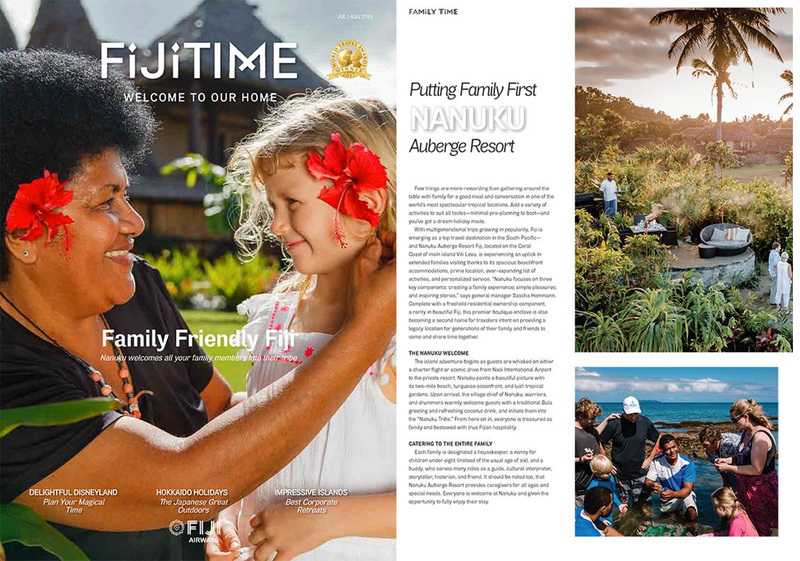 With multigenerational trips growing in popularity, Fiji is emerging as a top travel destination in the South Pacific—and Nanuku Auberge Resort Fiji, located on the Coral Coast of main island Viti Levu, is experiencing an uptick in extended families visiting thanks to its spacious beachfront accommodations, prime location, ever-expanding list of activities, and personalized service. 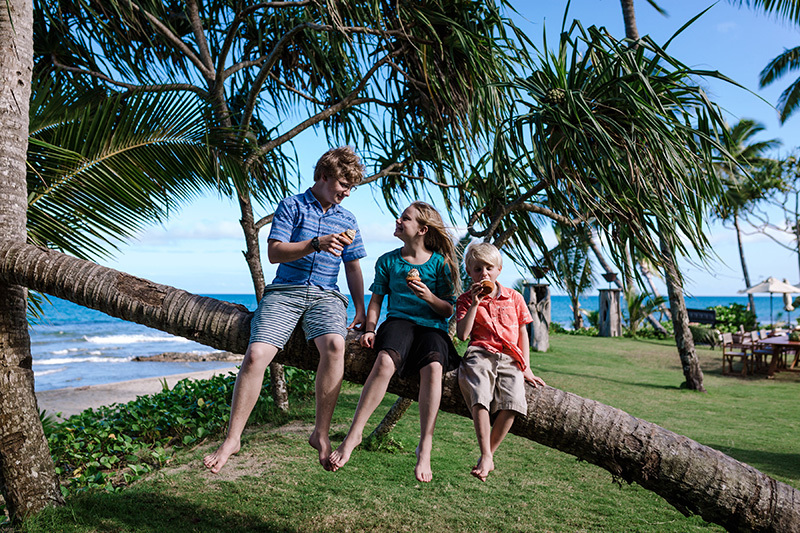 “Nanuku focuses on three key components: creating a family experience; simple pleasures; and inspiring stories,” says general manager Sascha Hemmann. 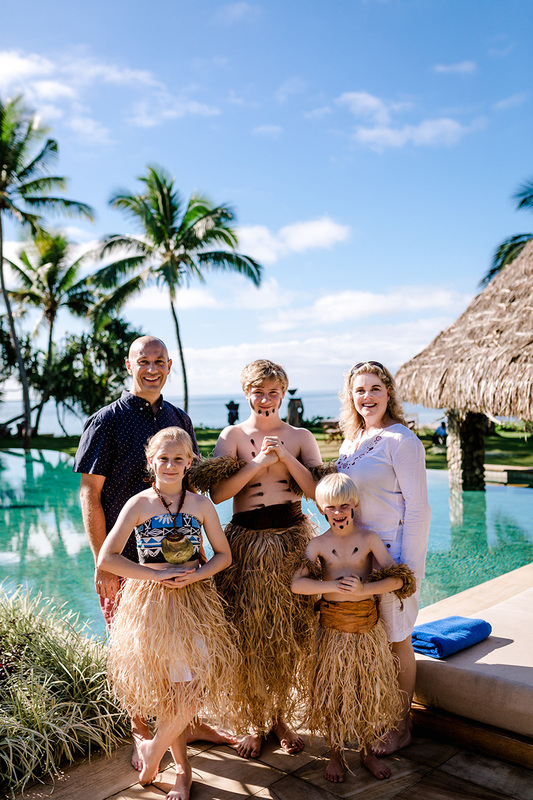 Complete with a freehold residential ownership component, a rarity in beautiful Fiji, this premier boutique enclave is also becoming a second home for travelers intent on providing a legacy location for generations of their family and friends to come and share time together. 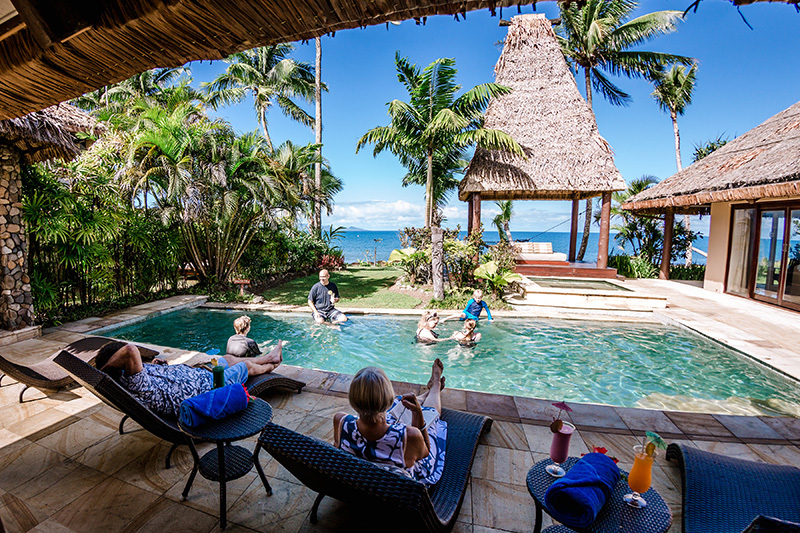 The island adventure begins as guests are whisked on either a charter flight or scenic drive from Nadi International Airport to the private resort. Nanuku paints a beautiful picture with its two-mile beach, turquoise oceanfront, and lush tropical gardens. 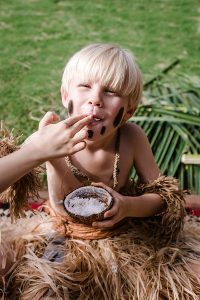 Upon arrival, the village chief of Nanuku, warriors, and drummers warmly welcome guests with a traditional Bula greeting and refreshing coconut drink, and initiate them into the “Nanuku Tribe.” From here on in, everyone is treasured as family and bestowed with true Fijian hospitality. Each family is designated a housekeeper, a nanny for children under eight (instead of the usual age of six), and a buddy, who serves many roles as a guide, cultural interpreter, storyteller, historian, and friend. It should be noted too, that Nanuku Auberge Resort provides caregivers for all ages and special needs. Everyone is welcome at Nanuku and given the opportunity to fully enjoy their stay. Suites, villas, and residences are all designed with authentic Fijian features: vaulted ceilings; sustainable wooden décor; and hand-hewn flourishes. Each one has its own plunge pool and is an easy stroll to the Clubhouse. Nanuku is expanding its accommodations with the brand new “Auberge Beach Villas” coming online around the end of this year. These new villas, designed by Grounds Kent Architects out of Perth, feature a tropical modern design aesthetic and buyers snatched up the first phase quickly. (The next phase is currently in pre-construction pricing.) 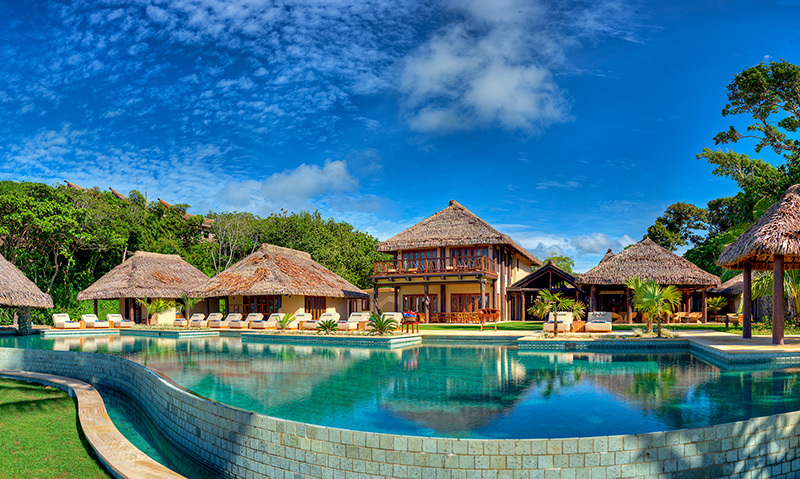 Auberge Beach Villa owners have full ownership — there are no fractionals or timeshares at Nanuku — and can put their villas into the resort’s rental pool when not in their own use. The beauty of travelling to Nanuku is that little preplanning is required. Once you are at the resort, just unplug and relax. Here, emphasis is placed on tailoring activities to suit the individual and their mood for the day. From tots to teens, young adults to grandparents, everyone can do as much, or as little, as they wish. “We call ourselves an outer island experience on the mainland,” Hemmann says. “We have over 50 adventures in our Adventure Companion booklet. Nanuku is nature’s playground… wildly civilized.” Given the resort’s beachfront location and proximity to Pacific Harbour (Fiji’s Adventure Capital), adrenaline junkies can try snorkelling with sub wings, tandem skydiving, white water rafting, diving, zip lining, and kayaking. 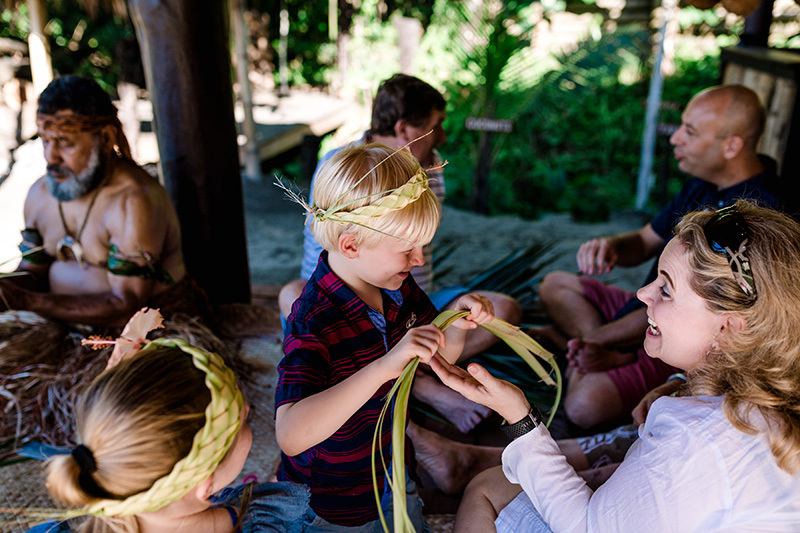 Sigatoka River is fun for the whole family and includes a Coral Coast tour as well as a visit to an authentic Fijian village to experience a day in the life of the real ‘kaiviti’ (Fijian). Early risers might join a birding tour; keen golfers could take a helicopter from Nanuku to Natadola Bay to play on the best course in Fiji. Those looking to refresh might choose a waterfall hike, while sun seekers would be just as happy relaxing in their villa’s poolside cabana or the Clubhouse infinity pool (with swim-up bar). Whichever way the day unfolds, one thing is for sure: families gravitate toward the dinner table to share the day’s experiences over a delicious fresh-cooked meal. In addition to its own restaurant, Nanuku offers myriad destination dining experiences throughout the resort property, such as an outdoor cinema, supper on the beach, a cliffside sunset BBQ, treetop dining, meals in the indigenous gardens, or if you want to “stay in”, an in-villa chef. “We can even take families up to the Owner’s Residence when it is available,” notes Hemmann. 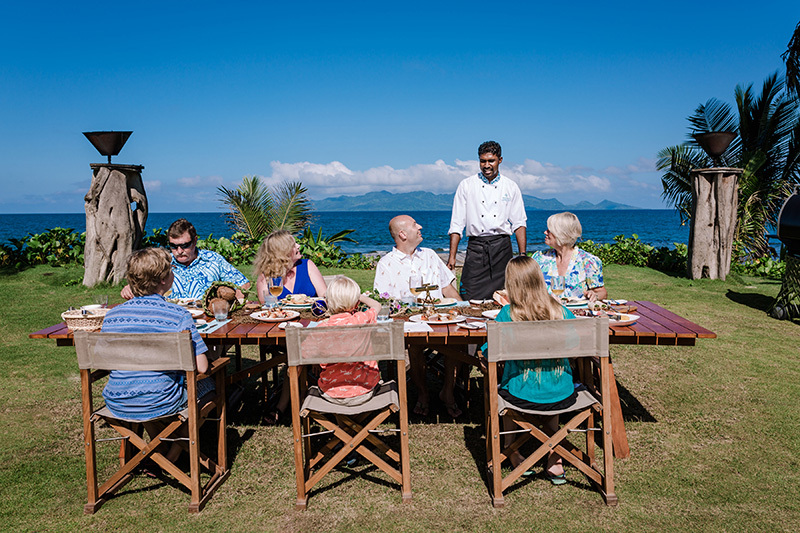 Families can partake in a Food Safari experience, which includes sourcing fresh fruits and vegetables from Navua market and Ranadi organic plantation, that together with the resort’s chefs, they prepare into traditional dishes such as kokoda (Fijian ceviche). Afterwards, watching a traditional fire walking ceremony, along with some kava for the adults, makes for an entertaining evening. Those seeking the ultimate getaway reserve Nanuku’s separate private island for the night. 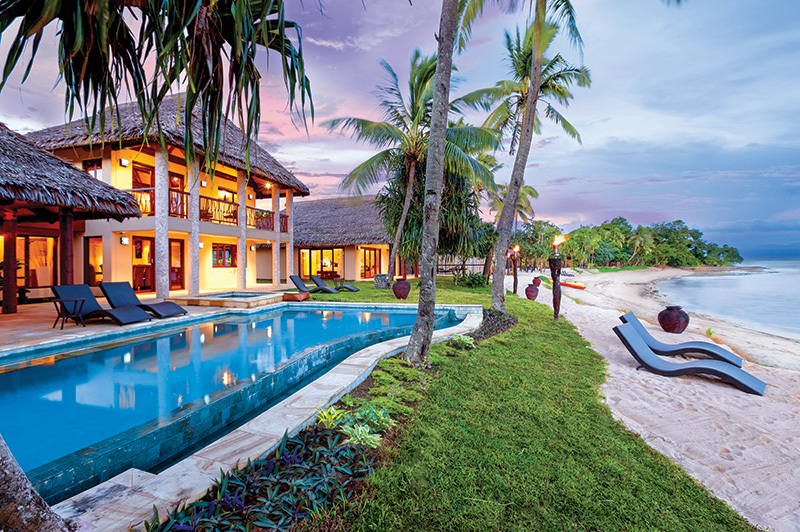 Accompanied by resort crew, families have reign over an entire two-acre island. Imagine fishing, snorkeling or paddle boarding in your own secluded paradise in the middle of a clear blue sea, and later, sitting around the campfire, telling stories over a traditionally cooked meal before retreating into tents for an amazing night’s sleep under the stars. Don’t be surprised if Nanuku’s chef shows up in the morning to cook you an amazing breakfast there on the beach. No less adventurous but with a side of pampering is the “Nanuku Beekeeper Experience.” Guests accompany Nanuku’s bee master to learn all about bees while collecting honey to create a honey-centric treatment at the resort’s Lomana Spa and Wellness Centre. The sweet experience picks up at sunset hour, which starts with a honey-based cocktail and ends with a five-course degustation dinner centered around honey. Reserving this experience as a dinner for two on Nanuku’s treetop dining pavilion makes for the ultimate dining escape. This respect for nature ties into the Planet Auberge Program, Auberge Resort’s commitment to responsible luxury, focused on minimising an individual property’s footprint, and improving its surrounding environment and communities. Plus these activities are fun! Led by the resort’s own marine scientist, Nanuku’s Planet Auberge Program focuses on the resort’s coral planting, reef conservation, mangrove replanting, and shore protection activity. 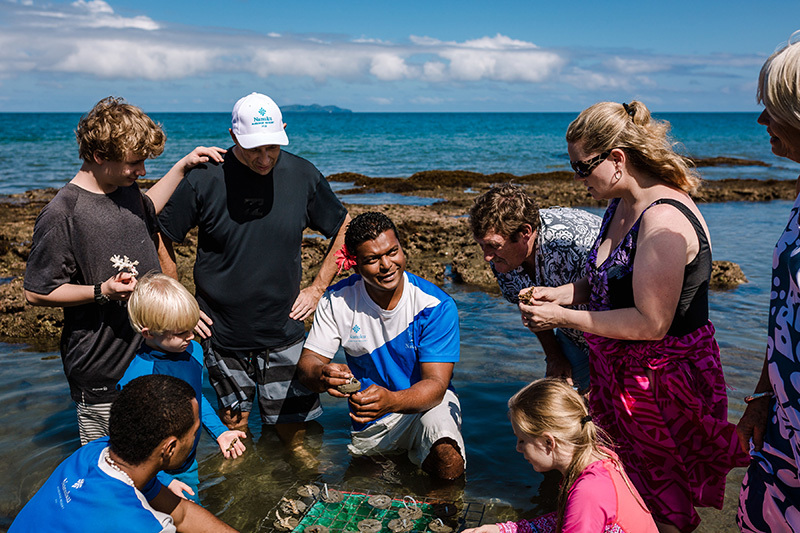 Families can connect with this part of the planet by planting and tagging their own coral garden, and tracking its progress on return trips to Nanuku. Building on shared memories and traditions at Nanuku is now even easier with its expanding real estate opportunities. 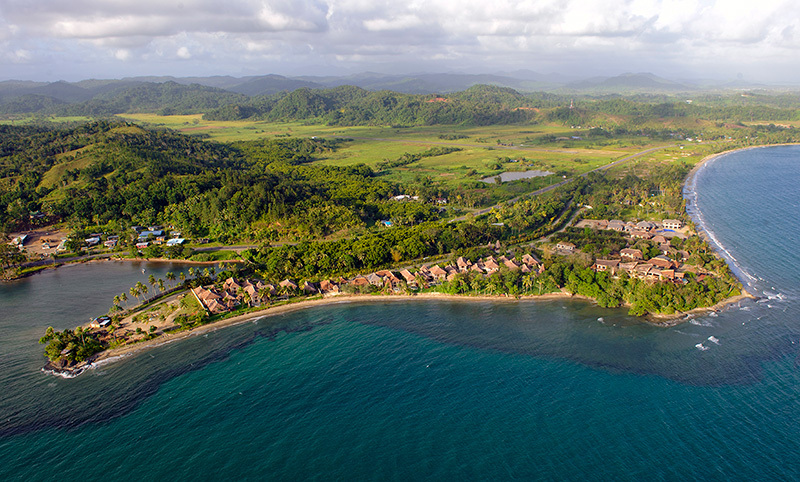 The 500-acre retreat offers one- and two- bedroom lock and leave villas, along with larger homes and beach estates. 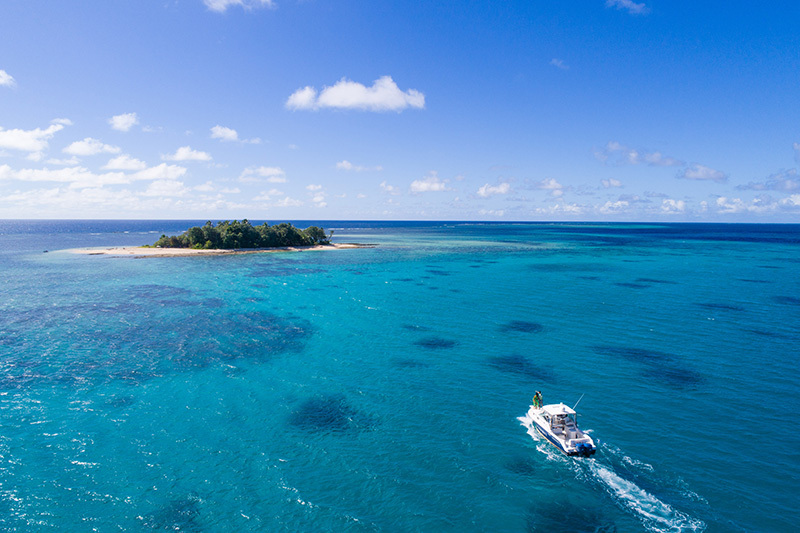 All are freehold and whole ownership, and because just 9% of Fiji is available to be privately owned, only a select few have the opportunity to have a stake in this archipelago, oceanfront no less. The benefits of owning a portion of this paradise are vast, you are part of the Nanuku family, have minimal responsibilities, but enjoy an owner’s privileges. Use the villa as much as you like, even live there full time, and access all the resort’s amenities and activities, which keep pace with kids as they get older—there’s always enough to do to keep everyone busy. Those easily bored need only consult with Nanuku’s Cultural Ambassador for ideas and inspiration. When families aren’t at the villa, Nanuku Auberge Resort can coordinate its property management, and if an owner prefers it, put it into the resort rental pool for investment return. Nanuku is a fabulous base for family members to enjoy each others’ company, bond, relax, and experience adventures together.